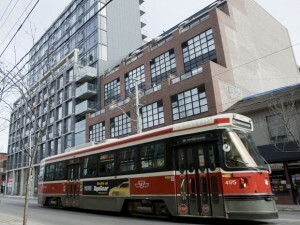 Sarah Kelsey published the following article in the National Post, regarding the sensible condo buying option. Home buyers are becoming increasingly frustrated with never-ending bidding wars in Toronto’s freehold resale market. Instead of throwing money away through renting, buyers are now searching for condos to get into the Toronto real estate market. “A safe location, room to grow, a good investment and located near the city. Doesn’t seem like a lot for a young professional couple to ask of the Toronto real estate and rental market. But as so many 20- and 30-somethings know, it is. In the midst of this “too expensive to buy/too expensive to rent” debate, several condominium developments are popping up that, in a sense, remove overpaying for a property from the equation.